Cleaning hardwood flooring, especially in high humid states like New Jersey, becomes a daunting task if not done in the right way. 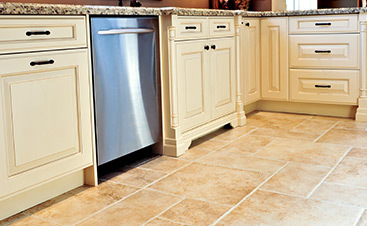 Knowing how to care for your floor will go a long way in keeping it durable and spotless. Before that, you should know the kind of finishing of your hardwood floor. Doing this will help you determine the dos and don’ts of maintaining your floor. So how to care for your floor refinishing? Read on to know the answer. 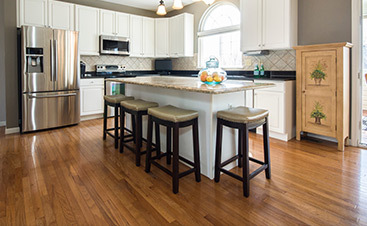 Sweep the floor using soft broom or a swifter to get rid of all the dust particles. Add a small quantity of dish soap to a bucket of water and use it to mop the floor completely, making sure that you don’t use excess water. Finally, dry the floor using a soft absorbent cloth and buff it until it’s clean and shiny. To find out if your floor has been coated with a penetrating seal, just rub your finger or a cloth across the floor. If you see a smudge, then the answer is yes. 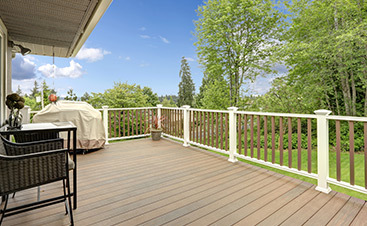 This kind of finishing soaks into the wood for it to harden, and requires high maintenance to keep up the shine. First, you must use a stripper product to get rid of the old wax. Then, use a vacuum cleaner and gently clean the area . Make sure that you don’t wet-mop these floors, as they can trap dirt. Regular application of new paste or liquid wax can help keep the floor smooth and shiny for a long time. Varnished finishing requires detailed care. Before using polishers or other cleaning agents, make sure that you dust your floor with a vacuum cleaner to rid it of debris and dirt. Then, pour a few drops of a solvent-based cleaner on a washcloth and rub it along the direction of the wood grains. Finally, gently wipe off the cleaner with a dry cloth. It’s not easy to clean and maintain untreated hardwood flooring because it’s easy for water as well as cleaning agents to seep through the cracks in the wood. However, you can maintain your untreated floor by spot cleaning the stained areas with a spirit-based cleaner and using a damp mop to clean the rest of the surface. Lastly, you must make sure that your dry the floor completely after cleaning it. 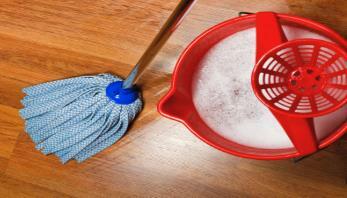 With the above tips, cleaning your hardwood floor can be a quick and simple job.